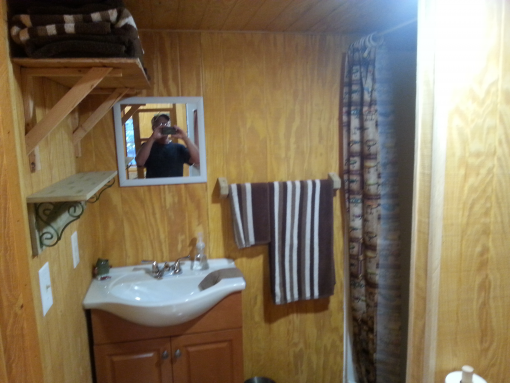 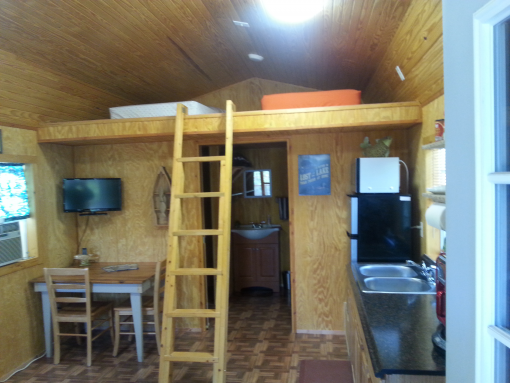 12x24 cabin, with living room/kitchen, large bathroom and closet, loft area sleeps 4 and couch makes out into full size bed sleeps 2. 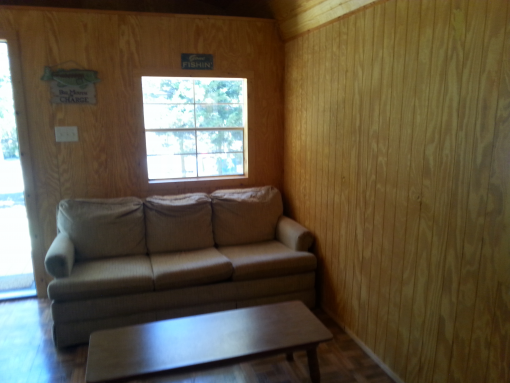 Plenty of elbow room to relax. 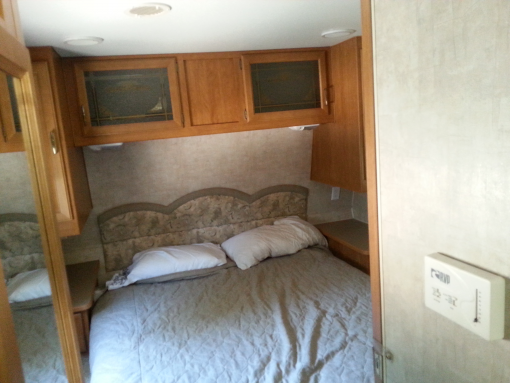 also, 2006 Fleetwood 26 ft. 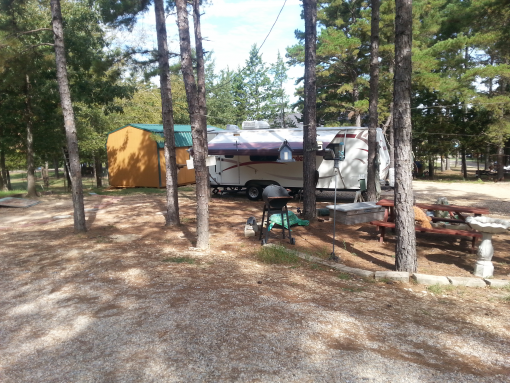 Camper for rent, a/c television, refrigerator/freezer, awning, stove, oven, microwave, aminities included, boat hookup plenty of parking picnic table all amidst pine trees and within 100 yards of public boat ramp. 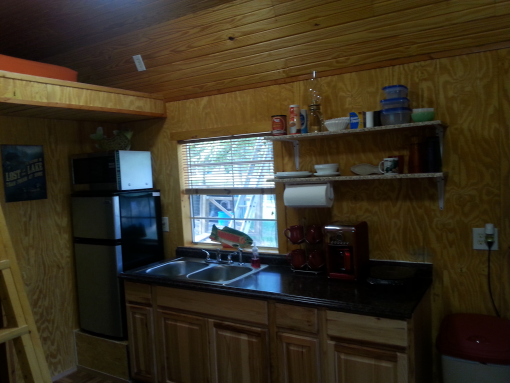 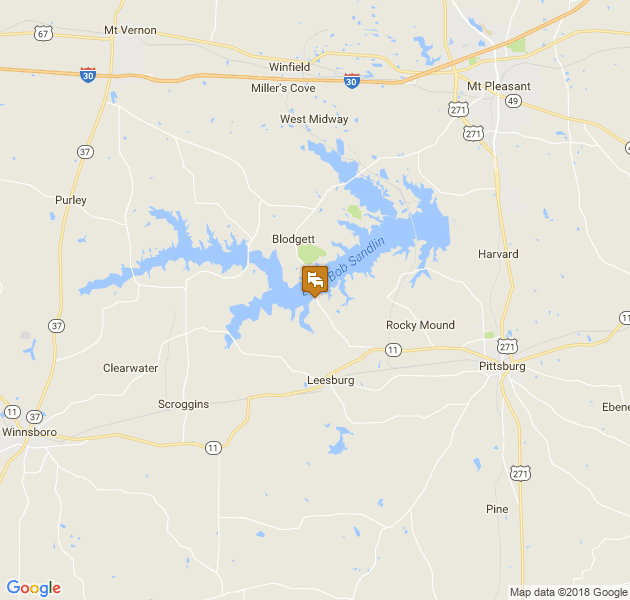 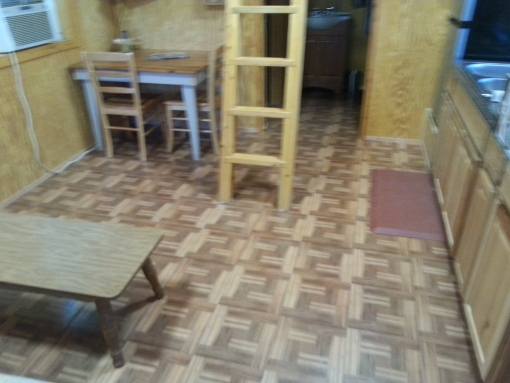 Cabin rents for $75.00 per night, 2 night minimum, plus a $100.00 damage and cleaning deposit (will be returned on departure if now damage and unit is relatively clean). 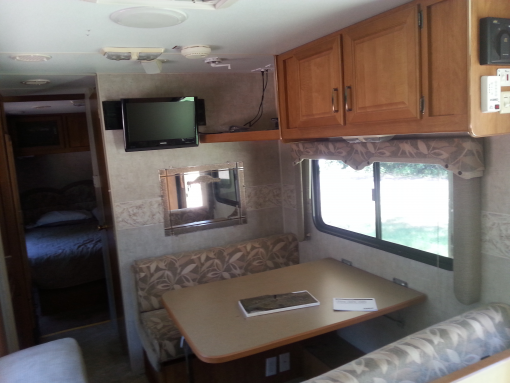 RV rents for $65.00 a night for 2 night minimum with damage and cleaning deposit ( 3 night minimum on Holiday weekend) no smoking in trailer and no pets. 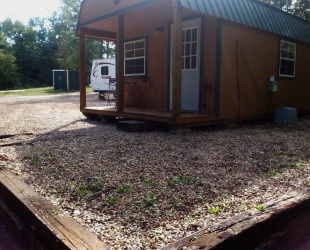 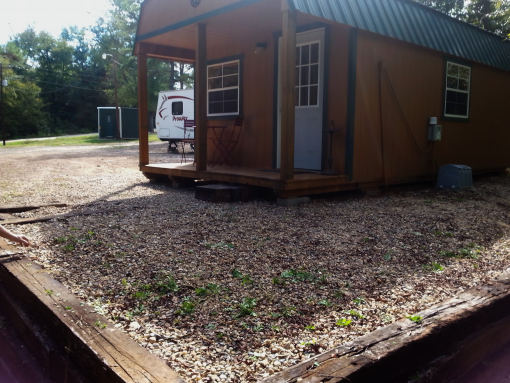 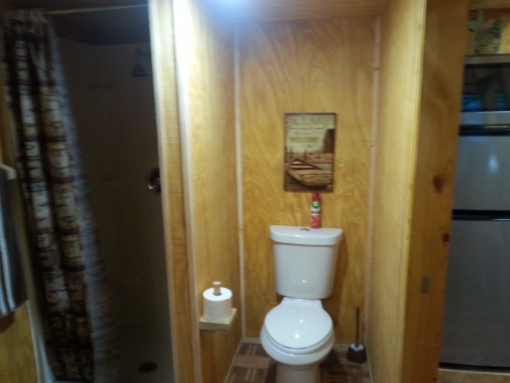 Weekly and monthly rates available.weekly rates $300 for camper, $350 for cabin plus deposit. 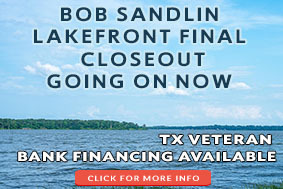 No reservation is guaranteed until deposit received.